GATHER your colleagues and clients for the largest corporate Christmas event, the Centre of Christmas on Friday, 8 December. 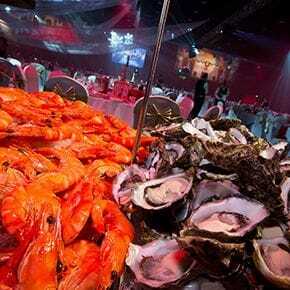 Presented by the Gold Coast Convention and Exhibition Centre (GCCEC), the ultimate festive celebration boasts a decadent seafood and Christmas buffet, premium beverages and mouth-watering dessert masterpieces. Dance the night away to live entertainment, snap up prizes and be mesmerised by a feast for the senses that leaves you wanting to return year after year. Assemble your colleagues and impress your clients by rediscovering the joy of a magical Christmas at the Gold Coast's premier festive event. Tickets for this event are on sale and cost $145 per person* or $1,400 for tables of ten*. You can also CLICK HERE to contact the GCCEC Box Office for more information. Phone 07 5504 4181 with any enquiries. 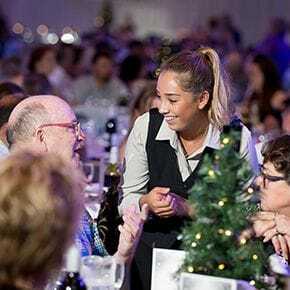 This article was written in partnership with The Gold Coast Convention and Exhibition Centre as part of Business News Australia's 2017 Corporate Christmas feature.